Dr Jart BB Radiance Beauty Balm ($42) is the least BB Cream to launch to the Dr Jart Collection available at Sephora. Dr Jart is one of the first Korean brands to launch a BB Cream at Sephora and I love that since the original launch in 2013 that the brand continues to grow and release new products. Dr Jart is massively popular in Korea and the line is a good deal more extensive compared to what we get here. But I have noticed that soon after products launch in Korea a very short time later we get the same launch. This happened with the incredible Dr. Jart Ceramidin Cream and Dr. Jart Ceramidin Liquid. I haven’t been following Dr Jart’s Korean releases lately but I believe they already had a Radiance BB Cream available! 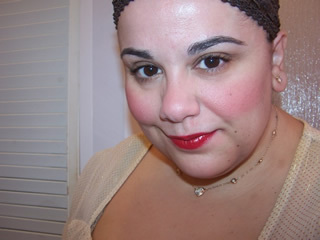 I’m actually not a huge lover of radiance style foundations, bases, BB Creams…! I did however, want to review and swatch this product since so many reader’s had asked after it so purchased it for that reason. 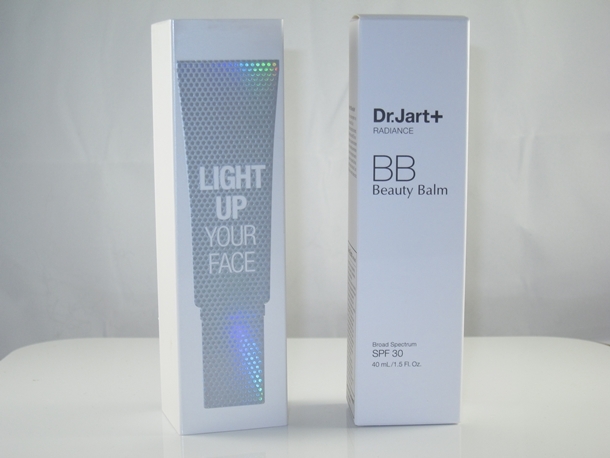 Dr Jart BB Radiance Beauty Balm features an SPF 30 and is available in one universal shade. This shade isn’t comparable to the light shade in the other BB Creams offered in the range. It’s actually a very light beige with a pink undertone. It looks like it has a hint of yellow to it as well. The pink undertone is actually what throws me as it gives my skin a pasty look and doesn’t adjust well if I over apply it! It contains mica which gives the skin a soft highlighted effect that can be likened to what you’d see from YSL Le Teint Touche Eclat Illuminating Foundation. This isn’t a glittery or shimmery effect it’s merely a subtle glow. I was surprised to say I liked the effect. Typically I avoid glow-y anything but this creates a very fresh, healthy look on my face! This might sound weird but it gives me that “I just washed my face” glow. Do you ever wash your face, look in the mirror, and think, “wow my skin looks so nice right now!” That’s kinda the look this gives! It’s a very natural finish. The finish is slightly dewy so drier skin will love this. It creates very seamless coverage that will minimize the appearance of pores while covering dark spots and redness. Coverage is buildable but a little goes a long way in my experience with it. The wear time is around six hours with some fading at hour seven. It is pigmented but not pigmented enough to hide major blemish or acne scarring issues. I do think the shade isn’t as “universal” as I had hoped for. It doesn’t adapt or adjust to my skin tone and if I apply too much it looks a bit pasty. Le sigh! Aside from this the rich, creamy formula is lightweight, breathable, and quite long wearing. If the shade fits your tone you’re sure to love the natural coverage this provides. And hey, with Spring here and Summer soon to follow this is a perfect lightweight foundation product to keep your skin looking fresh and beautiful! Dr Jart BB Radiance Beauty Balm is available exclusively at Sephora and Sephora.com. I find that most shades for Dr. Jart aren’t universal. I’ve tried several different Dr. Jart BB Creams and while I love the formula it’s been impossible for me to wear any of them because they’re way too light. I’m between a light and a medium so I’m not sure what their idea of universal is! It’s so sad because I really do like them. demi, yup same prob! I was hoping it would adjust as typically Dr Jart’s adjust well to my tone but unfortunately it stayed quite pasty 🙁 sigh! I should have listened to you… *hangs head* This is not an adjustable shade at all. What you see is what you get. I bought it online and had to return it immediately because it brought out every pore, was luminizing (but not in a good way), and it hugged every dry spot on my skin. I’ve been loving the black label but after several tests, I’ve come to terms with the fact that it makes me break out underneath my jawline. Have you heard of anyone else having this issue? Now I’m going to trust you and buy the Skin 79 Gold Label BB online. Do you have any trusted sellers on amazon or elsewhere?